Crete is ok, nothing spectacular. Crete is stunning. It is magical everywhere you go; from its cosmopolitan beaches to archaeological sites and unexplored mountain slopes. This couldn’t pass unnoticed from the location scouts, so there are many movies that are set in Crete. The list is not long, but it is a good one. Here we have a sample of the more recent movies that depict the beauty of Crete. Let’s have a sneak peek! 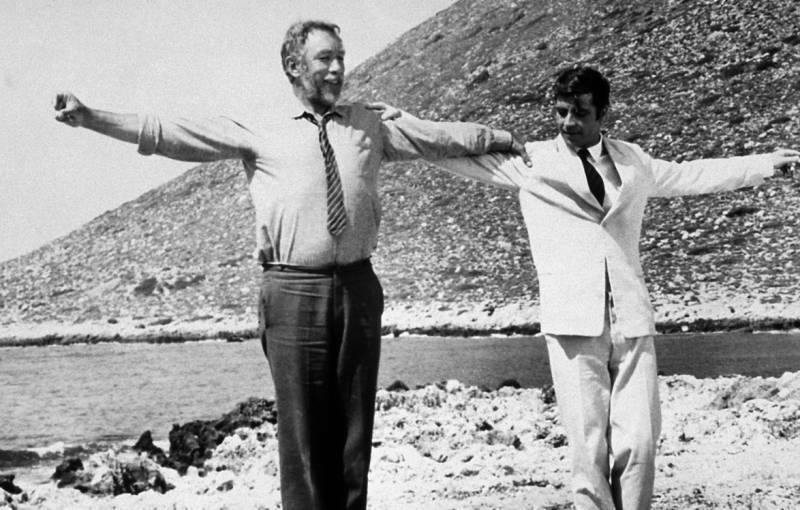 An English writer finds his life changed forever when he meets Alexis Zorba, on his journey in Crete. Here, we see the pure and simple life of the Cretans. The raw and original environment scenery. The story of Domenicos Theotokopoulos aka El Greco, the famous painter, unfolds in Crete and Venice. In this movie, we take an idea of the beauty and the historical past of Heraklion. The story follows the holidays of four 18-year-old British boys in Malia. The wild lifestyle of the cosmopolitan side of Crete is shown through funny setbacks. The beauty of Crete - from hills to archaeological sites - unfolds before our eyes, when the death of a private detective makes the protagonists flee Athens and escape to the island. Each movie shows different sides of Crete. Find the one that matches your taste, grab your popcorn and enjoy! Of course, you should keep in mind that the beauty of Crete in films can't be compared to a live experience. Book your favorite luxury villa in Crete now!